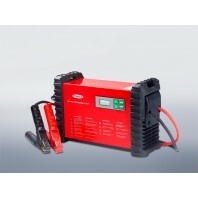 Acctiva Easy - charging and testing Test the charge level and startability of the battery, along with the output of the alternator. Fully microprocessor controlled, all within a compact hand held unit. Product information: Charging: The..
Acctiva Professional 35A - for your professional workshop The intelligent charging system with clear animated display. Fully microprocessor controlled, all within a robust rugged unit. Product information: Animated display for user gu..
Acctiva Professional Flash - powerful 70 A Provides a stable power supply of upto 70A during diagnosis and re-programming of vehicle software. 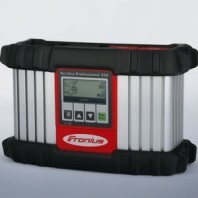 Fully microprocessor controlled, electronically safe, with rapid charge function. 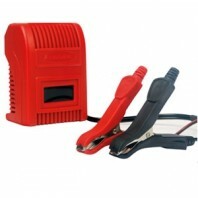 Product information: ..
GYSFLASH 100-12 HF - powerful 100 A This device has 5 modes: • Charge Mode: to charge liquid or gel electrolyte batteries (lead, lead Calcium, lead Calcium-silver, AGM...) from 20 Ah to 1200 Ah in 12V. 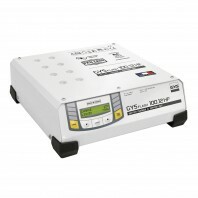 • Supply mode « Diag + »: GYSFLASH supply up to 100A to ensure compensation of curre..